The New Jersey Medical School Department of Medicine, Division of Infectious Diseases Fellowship Program accepts applications only through the Electronic Residency Application Service (ERAS). International Medical Graduates must possess U.S. citizenship or have permanent residency and a valid ECFMG certificate including the CSA examination. If visa sponsorship is needed, the applicant must seek ECFMG sponsorship as a J1 Exchange Visitor. We will also support H1 visas in selected circumstances. Candidates selected for interview will receive an email invitation. Interviews are held August through October. The interview day (8 am to 12:30 pm) consists of attending the weekly Infectious Diseases Grand Rounds and meeting with the program director, faculty, current fellows, and a tour of the facility. 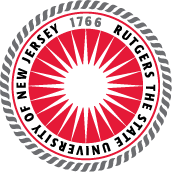 All applicants must receive a consumer report and/or investigative report (background and fingerprinting) deemed favorable by Rutgers New Jersey Medical School prior to employment.